Russian developer OKO Group has been granted approval from the Federal Aviation Administration to build an office tower across from Brickell City Centre. Approval was granted on March 15, six months after the application was submitted to the agency on September 20. Construction has been underway since December. 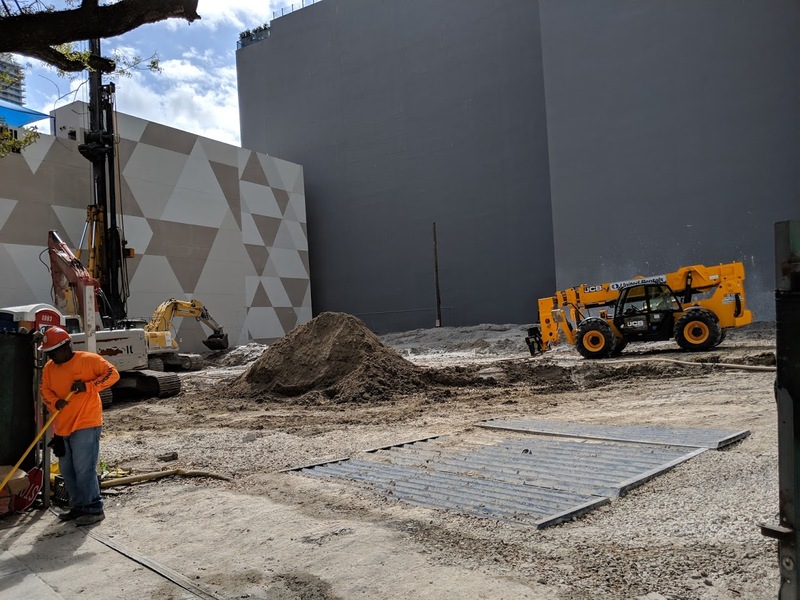 The building is alternately called 830 Brickell (as it was during an announcement of a recent lease signing) or 888 Brickell Plaza (as it is in drawing sets submitted to the city). In a letter last week, the FAA approved a height of 834 feet above ground, or 839 feet above sea level at the center of the tower. The corners of the building would rise 799 feet above sea level. The tower could become the second tallest building in Florida, surpassing the under-construction Aston Martin Residences (816 feet above ground) and only behind Panorama Tower (868 feet above ground). Other building in Miami, including Skyrise, are planned to be built even taller though. 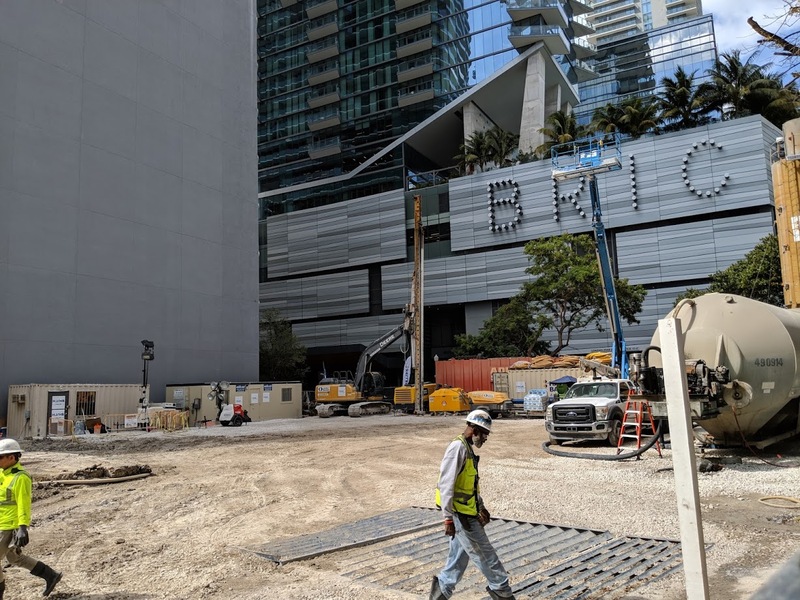 The OKO Group 830 Brickell office tower will include a 56-story building with 533,268 square feet of office, 8,831 square feet of retail, and 10,202 square feet of restaurant. Ten floors, or 146,000 square feet, have been leased to WeWork. If its a glass box oh well, at least we’re getting a office tower. Yup, and at least it won’t carry ” lux ” at the end of its name. Glass boxes might be repetitive in many cities (though they are often received with great fanfare elsewhere) but in a condo/balcony heavy city like Miami we should be welcoming the so-called “glass boxes”. Plus, doesn’t the article mention a 40 foot disparity on the top floors? That’s already more design than the vast majority of “condo boxes” built locally. I don’t know anywhere boxes are received with great fanfare outside of architectural snob circles who think 432 Park Avenue is better than 1 WTC. I don’t know of anyone who thinks that highly of the smoke stack that is 432 park. The Next Miami, do your homework. Panorama Tower is only 832 FT AGL, NOT 868 FT AGL. Panorama Tower has a radio antenna on the roof that takes it to 868 FT AGL, but is not part of the structure. It doesn’t count! Therefore, the OKO tower will be the tallest tower in Miami at 834 FT AGL. It will be 2 FT taller than Panorama Tower. On another note, where are the renderings! You obviously don’t know much about towers! Doesn’t matter if it’s an antenna or not it’s still apart of the building an adds to the high. Google any tower like freedom tower, empire state building, sears tower all with antennas. You will see they are measured from the ground to the tip of the antenna. No one in SLS Lux ever bought for views. Even with that $100M+ sculpture outside the window, the SLS Lux views still beat any view in Kendaleah. Exactly…if you bought there, you bought to be in the heart of convenience. If you bought an east view with a giant empty lot next to you and thought you would have that view for the rest of your life, then you are a complete moron. That being said losing your perfect view is part and parcel of living in a growing city. THIS MUST BE A RECORD FOR LONGEST KEPT DESIGN SECRET!! THEY ARE WELL ON THEIR WAY INTO THE FOUNDATION AND WE STILL DONT KNOW WHAT ITS GOING TO LOOK LIKE!! WHERE ARE THE DAMN RENDERINGS??!! How are there still no renderings? Is anyone at the wheel in Miami? We know they are asleep in the planning department. Anyone have thoughts to what the construction footprint of a project this size would look like? What would be the impact on 8th street or Brickell plaza? Will traffic be impacted via (partial) road closures for significant periods of time? Tough to think the second largest building in Florida will be built just within the confines of the property boundaries. They will likely close the right lane on SE 8th Street, and take the parking/sidewalk on Brickell Terrace. 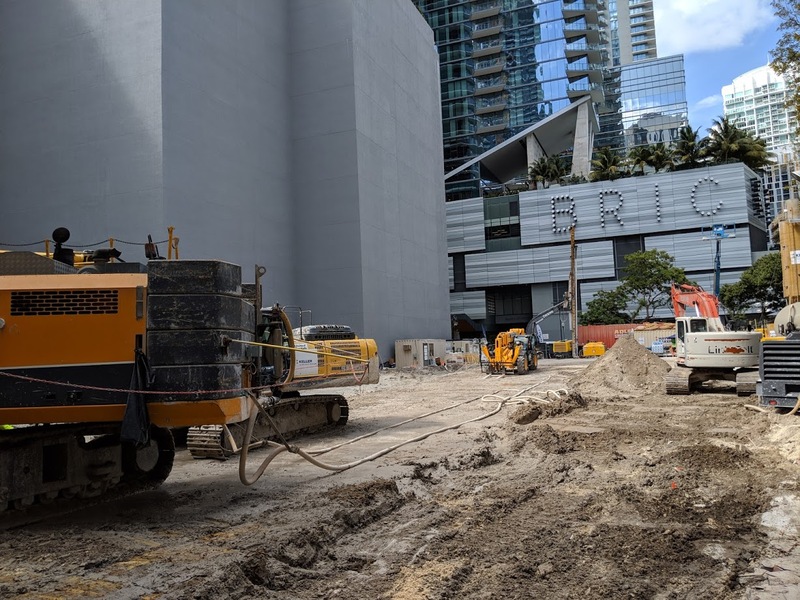 When SLS Lux were under construction, two 8th Street lanes were closed at the same time the Miami Ave Bridge was closed and the Brickell water/sewage upgrade was underway. Relative to that, traffic wont be bad. Is great to have tall buildings.but i think Miami is pushing the envelope,do the planning board.took in consideration the problem with traffic mobility.expantion of the present roads.or all was done with political considerations.we in Miami need better mass transit systen other wise will be a big mess in movility. We’ll just “cry a river of tears” for Brickell. Other areas in Miami could only wish to have the metromover running through it.